Of the four Gospels, Luke is R.C. Sproul’s personal favorite. It is the longest of the four Gospels and the only one whose author wrote a sequel (Acts). His Gospel is addressed to one Theophilus, but it appears to have a larger and predominantly Gentile audience in mind as well. Luke includes quite a bit of material not found in Matthew or Mark, much of it associated with the birth of Christ. There are not as many great commentaries on Luke as there are on Matthew or John, but there are some. In addition to the devotional commentary on Luke by Dr. Sproul titled A Walk With God, the following are five of the most generally helpful commentaries on the third Gospel. 1. 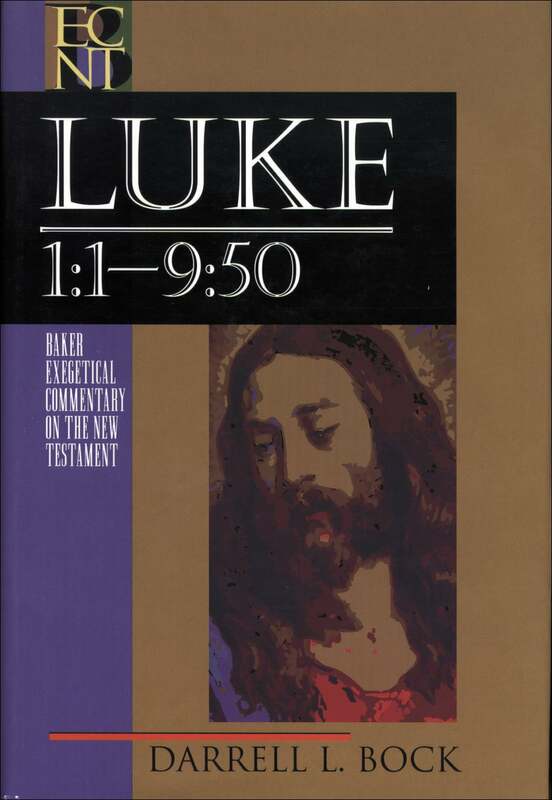 Darrell L. Bock — Luke 1:1-9:50; Luke 9:51-24:53 (Baker Exegetical Commentary on the New Testament, 1994, 1996). One of the best available commentaries on the Gospel of Luke is the massive two-volume set by Darrell L. Bock, a professor of New Testament studies at Dallas Theological Seminary. Weighing in at over 2,100 total pages, this commentary is certainly comprehensive. Thankfully, it is also clear. Most readers will also find the layout of the Baker Exegetical series very reader friendly. 2. Robert H. Stein — Luke (New American Commentary, 1993). It is difficult to place the remaining four commentaries in any particular order. I find each of them almost equally useful, albeit in different ways. Stein, for instance, has produced a very helpful intermediate level commentary for pastors and teachers. It is another fine contribution to the NAC series of commentaries. 3. Leon Morris — Luke (Tyndale New Testament Commentaries, 1988). Christians should pick up and read anything they find by the late Leon Morris. 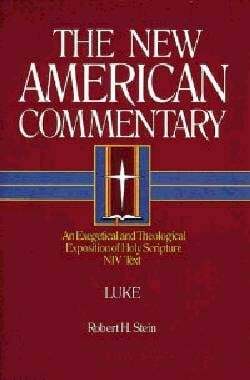 For those who may not have the time to dig into a 2,100 page commentary and are looking for a great introductory level commentary on Luke, Morris is the place to begin. 4. 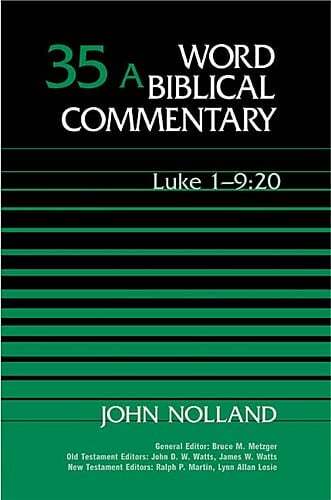 John Nolland — Luke 1:1-9:20; Luke 9:21-18:34; Luke 18:35-24:53 (Word Biblical Commentary, 1989,1993, 1993). Although just about as comprehensive as Bock, Nolland’s massive commentary suffers from the reader-unfriendly format of the WBC. Seminary students will definitely find much of value in this work. 5. I. Howard Marshall — The Gospel of Luke (New International Greek Testament Commentary, 1978). Apparently in an attempt to make this commentary even more difficult to read than a NIGTC commentary normally is, the author incorporated all of his technical notes into the body of the text rather than using footnotes. Despite this very poor editorial choice, there is still a wealth of helpful material here for those willing to dig and use discernment. 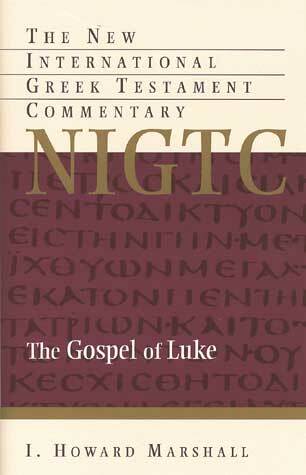 There are a number of other commentaries on the Gospel of Luke that are worth consulting depending on your goals. If it were not out of print, I would have included in the Top 5 the original NICNT commentary on Luke by Norval Geldenhuys. I find it more helpful than its replacement by Joel B. Green in the same series. Also somewhat difficult to obtain is the commentary by William Hendriksen. Both of these can be obtained through local libraries, and used copies can usually be found for sale online. Two good introductory level commentaries are those by Michael Wilcock and Douglas Milne. A solid conservative Lutheran commentary has been written by Arthur A. Just, Jr. (Vol. 1, Vol. 2).